I think consistency and procrastination had a love child, and I found the birth certificate in my sock drawer. There’s just something about saying you’re trying to do right for yourself that makes the universe piss itself laughing in response. Consistency is one of the most difficult things for me to accomplish, especially with getting healthy. It’s the same every time–I look at how my life is and what I really want (or think I want at the moment), I give myself a pep talk, the Rocky theme swells, and then when I make one little slip…down the hole I go. It’s so dang hard to keep up a habit that’s good for me when other things in life do their damnedest to intervene. 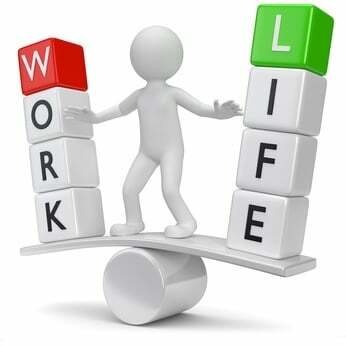 I admit, the work-life balance is totally askew and on the “work” side. Other than my Monday night/Tuesday morning workout last week, I haven’t been to the gym or done anything remotely healthy. Little Caesars Italian Cheese Bread and sauce have been my friend the whole week…until tonight. Strange, because I’m lactose intolerant, but a big part of me wanted it. I could’ve made it to kickboxing tonight, but it would’ve been a close call. I found myself driving home with a headache after work, and trying to straighten up my office so I have a decent place to study. Thanks to work being foremost in priorities lately, I’m 3 weeks behind in my 6-week online course…so that made me drive right home to work on it. Consistency is one of those things I wasn’t particularly good at–at least, not consciously. But I’m consistent about avoiding things that’re good for me, so I suppose it works on some level. I’ve found a few resources that I’ll be trying out this week. I mean, I’ve read so many sources over the years about it, but when you’re impulsive and easily distracted, it’s like all I’ve read and tried goes out the window. It’s a lousy cycle, and I’ll start with some great, simplified ideas from Marie Forleo (of Marie TV, which I just found today) and her video/post on being consistent in anything. Sadly, I think I know these things, but somehow they don’t get through. I tell myself what I want, and I make plans, but my feet don’t budge (those cement shoes sure come in many forms). And just when I wrote down in my morning pages (I decided to re-start them this morning, and try for CONSISTENCY) that I wouldn’t make work my life, I managed to fanangle another overnight for this weekend, which will give me another opportunity to burn out. “But they need the help!” I tell myself. And I need the money, which convinces me more. This ebb and flow regarding my work hours really hurts at times. I have to remember that even if the rest of the year was flowing along fine, it’ll still take more time to pay down my debts. I get lazy and I get in a hurry in shifts, and that really messes with that consistency. I can talk all I want, and be bound and determined to be healthy…but how many times have I let myself down because of my impulsive decisions? How many times have I slipped once and just chucked it all in? How many times have I sabotaged myself or looked for every excuse because it was hopeless anyway? I can’t count that high–not without depressing myself. The hard part is there’s so much I know I need to do for myself that by now, I have no clue where to start. And if I’m really stuck, I’ll waste the better part of a day trying to figure out which one to do first, then decide it’s all too hard and end up doing nothing. It’s time to stop pushing the clock forward and work here and now…move along even if it’s an inch at a time. I’ll start with this Lifehacker article I was looking through. Without consistency, goals and plans are just words. I feel your pain! I have been having a hard time with getting a workout schedule in. So far my works out consist of walking around in manhattan for hours and hours on Saturday. I need another me just for work. Alas, the clones would only complicate things. Hmmmm am not sure, I think a clone of me would be epic! I argue with myself enough as it is–a physical version just like me just increases the trouble (at least for me). I think some people could do well with one… as long as they’re okay with you being in charge and not wanting to murder you in your sleep so they can take over your life. (Yeah, read a lot of Bradbury and this stuff will get stuck in your head–hee hee). Welp there goes that theory of another me… I’m bossy so I doubt I would want to be not in charge even if I was in charge ya know? I never had trouble walking twice a day until I had to start bringing the dog with me. For some reason, the dog is a major distraction from the reason I like to walk alone……which is, to be alone. It’s a constant effort of scanning my surroundings making sure people/other dogs/animals are seen by me first so I can take appropriate actions with the leash. And, OMG, if I go for a walk without the dog….. lets just say its easier to just not go for the walk. Distractions for an introvert are so demanding. I wouldn’t mind trying to take my not-so-little tyrant for a walk, but she’s not well trained and has target fixation like nobody’s business. Squirrels, rabbits, and other people just make her wanna take off. If I give a little on her leash, she’s about to drag me across the road. She’s nuts, so I get what you’re saying. You can’t let thoughts flow when you’re jerked to a stop because a pooch wants to sniff a wee-mail.